It has to be said, walking 295 miles of the Cornish coastline is not for the faint-hearted! What a way for Nick Meyer (2&3 South 1962) celebrate his 75th birthday…. To re-cap with a historical reminder of Nick’s vintage, the year in which septuagenarian Nick was born – 1944 – there were the D-Day landings and London was being attacked by V1 and V2 bombs. 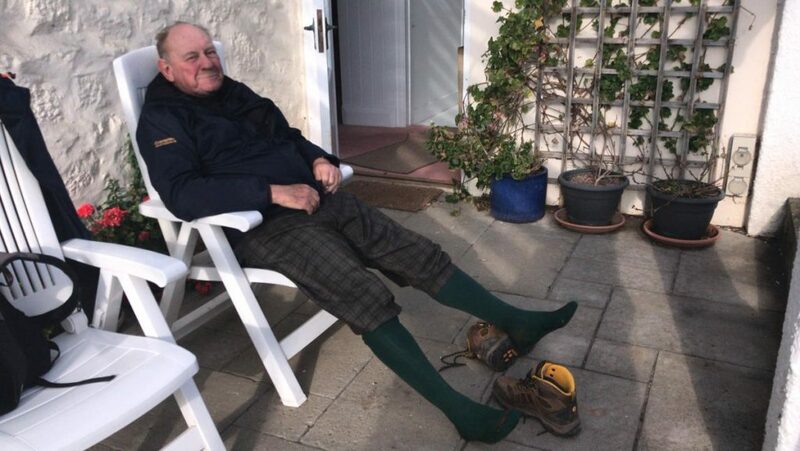 Scroll-on 75 years, Nick has cast aside the usual ways to celebrate a 75th birthday (feet up with a beverage of choice might be a more usual choice celebration), and has set himself the challenge of walking the Cornish section of the South West Coastal Path in aid of the Cranleigh Foundation. Nick has now completed the first three days of his Cornish Coastal Challenge and he and his plus fours have clocked up 28.5 miles. He set out from his home at Mullion Grove on the west coast of the Lizard Peninsula and reached Flushing, near Falmouth. For the first two days he was joined by the OC Society’s indefatigable Vickie Ingle and her one-year-old Schnoodle, Basil and on the third, by his sister-in-law, who we assume must have known what fun she was in for. It was a journey marked by bananas, ice cream (Cornwall’s own Kelly’s and Roskilly’s) and fine renditions of Nick singing sea shanties along the coastal path. Unsurprisingly, gregarious Nick bumped into several friends and neighbours along the way! If you would like to be serenaded with sea shanties by Nick (and who could resist?) 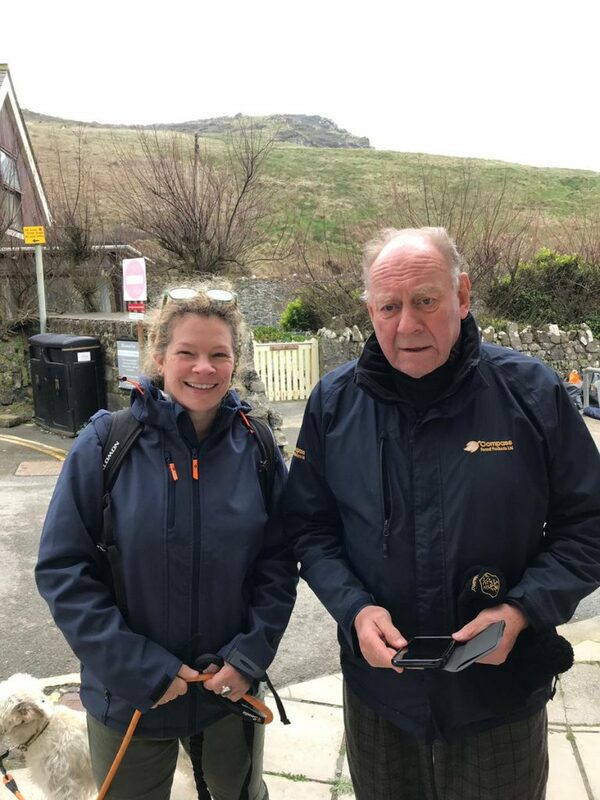 and join him on a section of his Cornish Coastal Challenge, please get in touch – he’d love to have the company of fellow Cranleighans to speed him on his Cornish Coastal Challenge.